Happy Easter, everyone! Hope you all had a great day, whether you celebrated or not ! Happy Easter everyone! Carrying the Vrango today! Topic: What's your favorite Spyderco that's a little bit of a "hidden gem?" 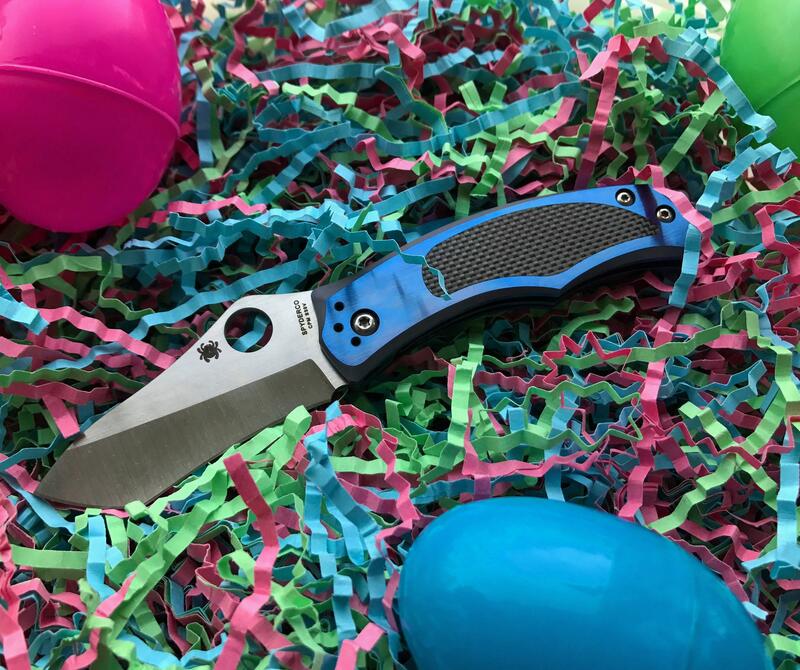 Re: What's your favorite Spyderco that's a little bit of a "hidden gem?" Topic: Pobody’s Nerfect! Para 3 calamity. Re: Pobody’s Nerfect! Para 3 calamity. My box from the first ever run of Para 3's says "Para 3"
I wonder if its only the S35VN models marked this way ? Topic: Spyderkey 3002 STC, Grail Knife? Re: Spyderkey 3002 STC, Grail Knife? Topic: Ikuchi - The New Kiwi? Re: Ikuchi - The New Kiwi? To me they're pretty different. Compact and elegant might be the only features they share. Also, I feel like the Wharncliffe blade is a defining feature of the Kiwi. It's available directly from Spyderco in BD1N, but I'm not sure of anywhere else at the moment. Thanks for a good laugh! Topic: Why do you have the knives you do? Re: Why do you have the knives you do? Topic: We are saved! Baseball Season is here! Re: We are saved! Baseball Season is here! Topic: What is the best retailer to pre-order from? Re: What is the best retailer to pre-order from? I would say, just don't pre-order knives. Topic: Which spyderco is in the mail? Re: Which spyderco is in the mail? Should be receiving a set of Large Spyderthrowers today Can't wait to test them out! These are going to be a lot of fun!